But really, his content stand out compared to other Lego channels, similar to just2good and BrickTsar. He recently stared to branch out to other themes, bootlegs, and Q&A to the point the Lego Group send him a large set to sponsor. My favorite series was the Brick Buster where he expose scalper to the point they replied saying all his evidence were false from a separate video. It's also worth noting his older video are uncensored. I agree constraction isn't normal lego, but that doesn't make it any less useful. This guy will learn the error of his ways when he discovers all the good builders on flickr using constraction and system together cohesively. I will never be able to bring myself to watch someone who says such horrid things about constraction. Sometimes I can't even tolerate this guy other times he can be entertaining. I don't think he's anything that special but he's not terrible. I legitimately hate this youtuber, most things don't get my blood boiling but this does, for some reason. 90% of the things he does make me really mad, I'm not kidding. I asked to see if I am allowed to post such topics, and apparently Elijay confirmed that such topics are indeed allowed. So here we go. In last couple of mouths a Youtuber called mandrproductions (which he claims is pronounced as "M and R productions) has started to gain lots of Subscribers, due to his collaboration with just2good. He has almost reached 100.000 subs, which is going to place him in the Top of the LEGO YouTubers sadly. Now, you probably wonder, What is wrong about this guy? Well, let's start from the beginning. Although he claims to be a LEGO fan, he really is not. He is a LEGO Star Wars fan. He is probably the biggest LEGO Noob I have ever seen. In one of his "Ask Mandrproductions" videos, he said that he hates _ Bionicle, when he did't even got a set in his entire life. He also has never made MOC in his _entire life as a LEGO "Fan". He only buys LEGO Star Wars and nothing else. He only gets sets from other themes if he finds them on a good deal or on clearance! When the Brick Show channel was deleted a few mouths ago, he made a video where he was actually _celebrated _ the delete of one of the first LEGO channels to ever exist, and which was around for almost 10 years! He just keeps buying LEGO Star Wars just because it exists, and influences long time fans to give up the original LEGO themes for Star Wars. Summary: While he is not a bad guy as a person, he definitely is a not the best LEGO YouTuber in my opinion. There must be diversity in what you buy, not buying the same sets which have been produced 10 times already. He has little to no respect to the original LEGO themes. He laughed when the most iconic LEGO channel got deleted (Brick Show was probably the first LEGO channel I have ever watched). He is a complete shame in the LEGO community, though his fans keep growing. That is probably all I had to say. Keep in mind that this was all my opinion, and you might actually like him. We all have our own opinions. OK, so this whole topic seems to be exagerated. I don't actually know this guy, but I am still going to say the obvious: you are not a Lego noob if you buy sets from only one theme. What should 'Lego noob' even mean in this situation? If he likes only the Star Wars sets, is his choice to buy them. If he doesn't like other themes, it is still his choice not to buy them. You don't need to buy Ninjago if you don't like it. Or Racers. Or City. Or Bionicle. With that out of the way, I am curious to see if you are going to talk about other Lego YouTubers too. I really disagree hear. I know a lot of people who only like one theme. Didn't TTV used to only focus on Bionicle? Exactly! Where they Lego noobs? Lego noobs are more like people who don't understand the difference between lego and mega bloks, kreo... all those lesser companies. I'm also not sure about the whole rant kind of thing, it's not really fair to give these guys hate. it's their channel, and they can do whatever they want on it. Maybe they just don't have the time to make mocs, or find bionicle sets, or whatever. maybe it;s not their thing. they could be collectors and not moccers. Not every lego fan is a moccer. My dad likes lego, and he hasn't made a moc since his childhood. Well, If you have not made a MOC even in your childhood not even a small car or house, that does not seem like really likeing LEGO. After all, LEGO was originally made to build with it, not to collect every single set. He is a dumb youtuber for me. Why? The only theme he likes is Star wars and he doesn't care about any others!! What kind of LEGO fan can be this? a fan who likes just star wars and hates others. In last couple of mouths a Youtuber called mandrproductions (which he claims is pronounced as "M and R productions) has started to gain lots of Subscribers, due to his collaboration with just2good. People subscribe because they like the channel, not because he works with Just2Good. He has almost reached 100.000 subs, which is going to place him in the Top of the LEGO YouTubers sadly. Why is this sad? 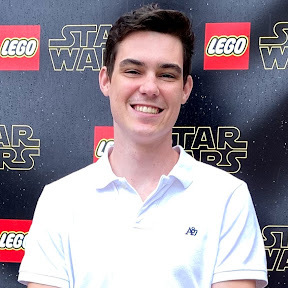 He certainly posts good content, his Lego comparison videos being some of the best released on YouTube. The quality and format of his videos are fine as well. Personally, I think he deserves the subscribers. Although he claims to be a LEGO fan, he really is not. He is a LEGO Star Wars fan. He is probably the biggest LEGO Noob I have ever seen. Just because someone enjoys a Lego theme, it does not mean that they are a Lego noob. People can like one theme more than others, to the point of mainly focusing on purchasing those sets. This is true for many members of these boards, including me, and I am certainly not a Lego “noob”. If you have a Lego budget, you’d want to spend your money on a theme you are invested in. In one of his "Ask Mandrproductions" videos, he said that he hates _ Bionicle, when he did't even got a set in his entire life. He also has never made MOC in his _entire life as a LEGO "Fan". Again, you can dislike Lego themes as well, despite not owning one of the sets. Why would you want to own a set from a series you dislike? I bet that most people on these boards hate Galidor, yet don’t own a set. Also, you don’t have to build Mocs to be a Lego fan. I see that you have never built a Bionicle moc, yet you are a fan. He only buys LEGO Star Wars and nothing else. This is untrue, as he just recently bought the Harry Potter stuff. This is his opinion. I for one hate the Brick show, as their reviews are quite boring. This community keeps buying Bionicle because it exists. influences long time fans to give up the original LEGO themes for Star Wars. This is incredibly untrue, and where does this evidence come from? This is, as I stated earlier, not true. A Lego noob is someone who cannot build Lego sets, cannot differentiate between Lego and Lepin, and builds bad Mocs. There must be diversity in what you buy, not buying the same sets which have been produced 10 times already. Err, what? Mandr likes to buy Star Wars sets because he likes Star Wars. He laughed when the most iconic LEGO channel got deleted (Brick Show was probably the first LEGO channel I have ever watched). The last sentence proves that your argument may be biased. He is a complete shame in the LEGO community, though his fans keep growing. This is really mean, and is also not true. I think this is really rather cruel, not really a rant, but an ongoing insult. I doubt you double-checked your homework on this person. He only buys LEGO Star Wars and nothing else. He only gets sets from other themes if he finds them on a good deal or on clearance! When the Brick Show channel was deleted a few mouths ago, he made a video where he was actually _celebrated _ the delete of one of the first LEGO channels to ever exist, and which was around for almost 10 years! Brick Show was in a major decline, similar to TTV, and the content wasn't enjoyable as they used to been. Also the quote on quote "_celebrated _" video mainly focus on other AFOL, not just his own opinion. So does the Brick Show. And there in lies a problem with your argument. The beauty of LEGO is that you can do anything you want with it! Weather that be collecting sets, building MOCs, or even just enjoying the story of some themes! Just because you can use it to make MOCs, doesn't mean that you have to use it to make MOCs. Simply put, we can't control who is going to get subscribers and who isn't. A lot of people have complained about recent developments over at YouTube because it seems like certain people with certain kinds of content are being privileged over others. There's nothing that we can do about it, though, so as a whole the issue is one with YouTube, and not any specific channel. As for this guy's opinions, and your own, they are just that--opinions. I won't hesitate to admit that I would be irritated by someone who seems to dislike BIONICLE (or any LEGO theme, for that matter) without justification. But those people have their opinions, and we have ours. In the end, you just have to hope that the people viewing and subscribing to this guy are doing so not just because they agree with everything he says, but because they find something about him that they enjoy. We can also hope that--if his opinions are truly unjustified--that those with influence in the LEGO community will ignore him. But in the end, people like what they like and dislike what they dislike. Do I care that some random person on YouTube who only buys Star Wars sets hates BIONICLE and tells everyone else that he does? Not really, because I like BIONICLE, and that's enough for me...and it should hopefully be enough for all of us who like LEGO themes that others enjoy hating on. Also--and this might make you feel a little better, personally--it's good to remember that, despite his high number of subscribers, for every person who knows and enjoys this guy, there are probably more than a thousand that neither know of or enjoy him.